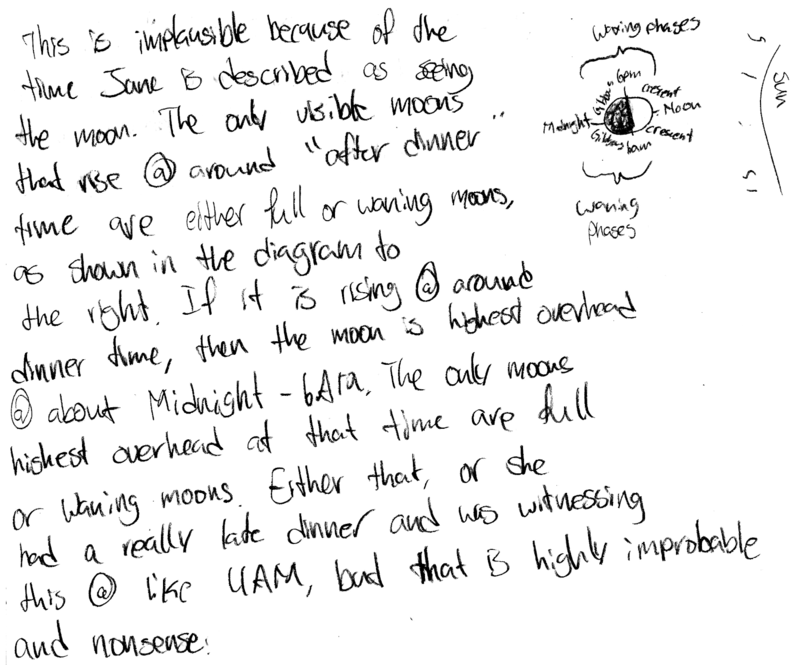 P-dog's blog: boring but important: Astronomy midterm question: waxing moon rising at night after dinner? Astronomy midterm question: waxing moon rising at night after dinner? Jane Ann Holder took her time going home after dinner. Everything about the night was fraught with memory and emotion. Turning on Van Buren Street, she saw a waxing moon rise over Deeds Hill. Discuss why this description would be implausible, and how you know this. Support your answer using a diagram showing the positions of the sun, the moon, Earth, and an observer on Earth, along with any assumptions that you may have made. [*] James Howard Kunstler, The Witch of Hebron, Grove/Atlantic (2010), p. 31. 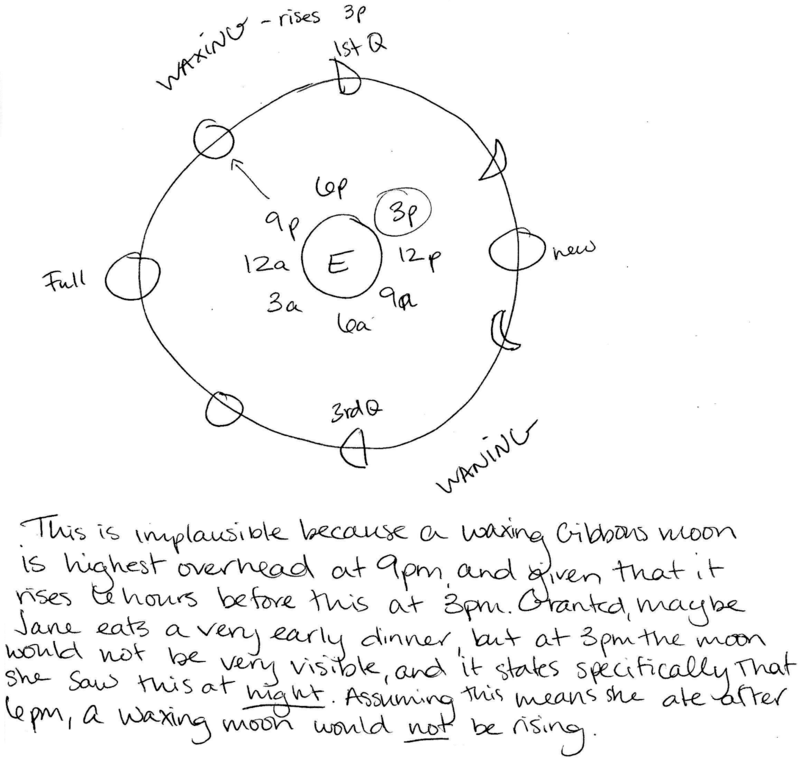 Complete diagram and reasoning, and thus concludes that a waxing moon cannot be seen rising at night (6 PM-6 AM) going home after dinner (5 PM-9 PM?). May instead demonstrate that only a waning moon would be able to rise at night. Contains right ideas, but discussion is unclear/incomplete or contains major errors. May have based argument on highest overhead instead of rising times, and/or may have rising time six hours after highest overhead time instead of six hours before. Limited relevant discussion of supporting evidence of at least some merit, but in an inconsistent or unclear manner. At least attempts to draw a moon phase diagram and apply rise/overhead/set times. Implementation/application of ideas, but credit given for effort rather than merit. Discussion not clearly based on a moon phase diagram.